Skinny rope fans often struggle to find a suitable rappel device to match their favorite cord. 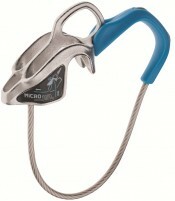 The ultralight Nano 8 from Mammut is the new default choice. 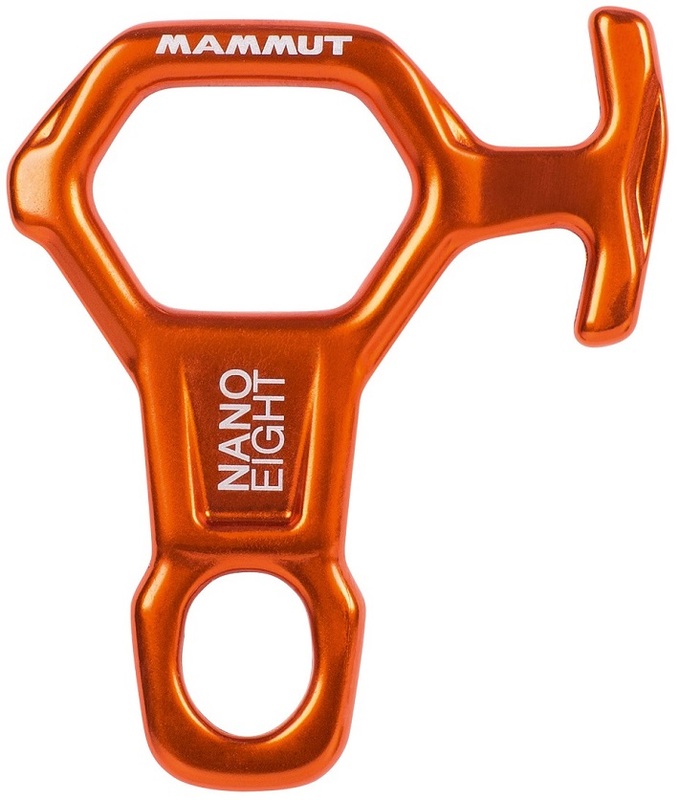 Weighing only 40 grams, the miniature eight-plate features a unique shape designed to help you achieve the ideal rappelling speed. It also has a handy tie off prong so you can free your hands if you need to set up another rap. A perfect device for those light and fast technical missions. Lengthwise breaking strength of 16 kN. 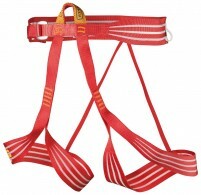 Ideal for low diameter ropes (6-7.5mm). Verified weight of 40 grams. I have not been able to find any available technical information indicating how small of diameter ropes this device is designed to work with. Will the Nano Eight work with twin 6.0 mm rappel ropes? Hi Nat, it works well with 6mm ropes. Always test in a safe place with a new rope before jumping on something big!